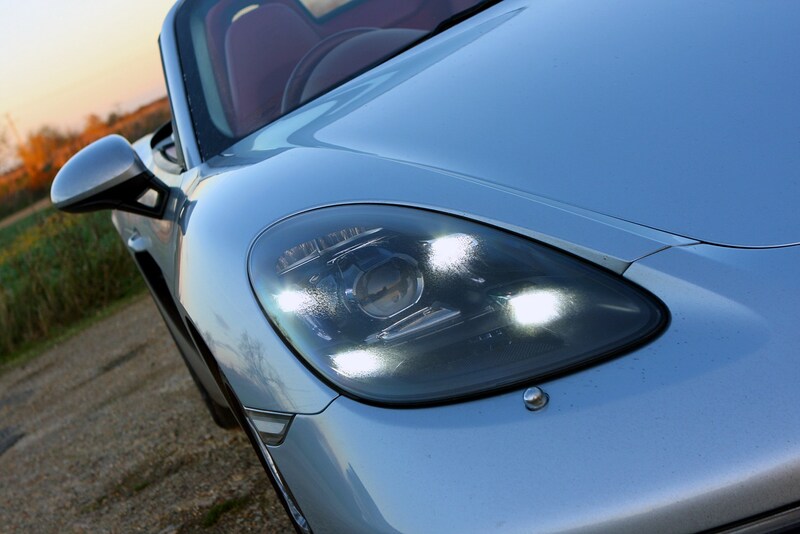 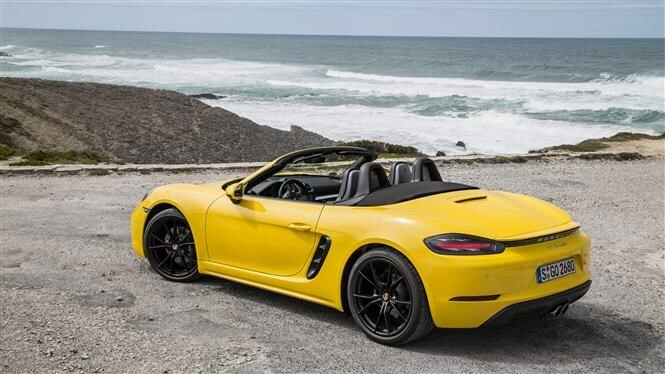 Out with the old six-cylinder engines and in with turbocharged fours – the Porsche Boxster has downsized to offer more power and fuel economy at the expense of aural drama. 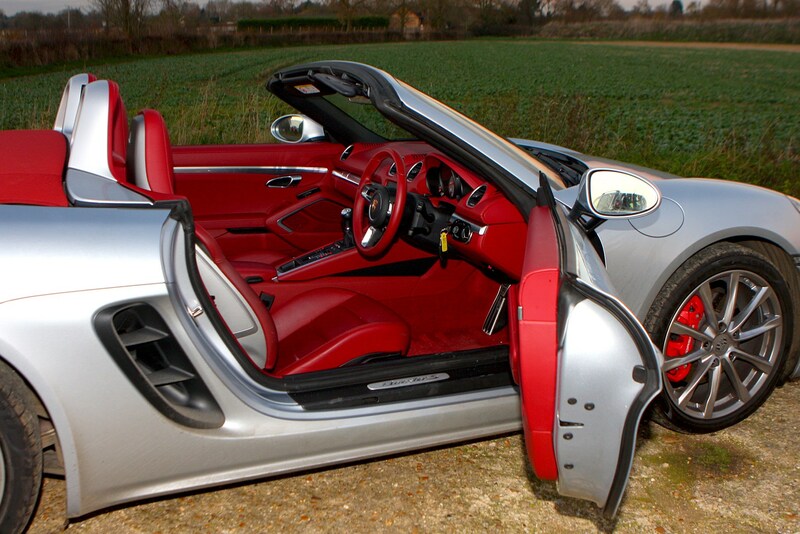 There’s no diesel option here (for that you’ll want a Mercedes-Benz SLC) so your choice is restricted to petrol only. 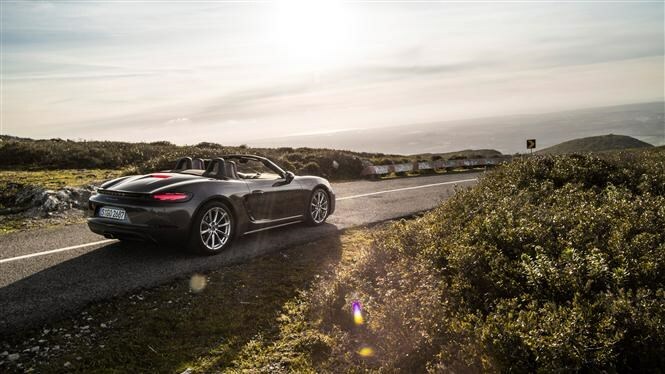 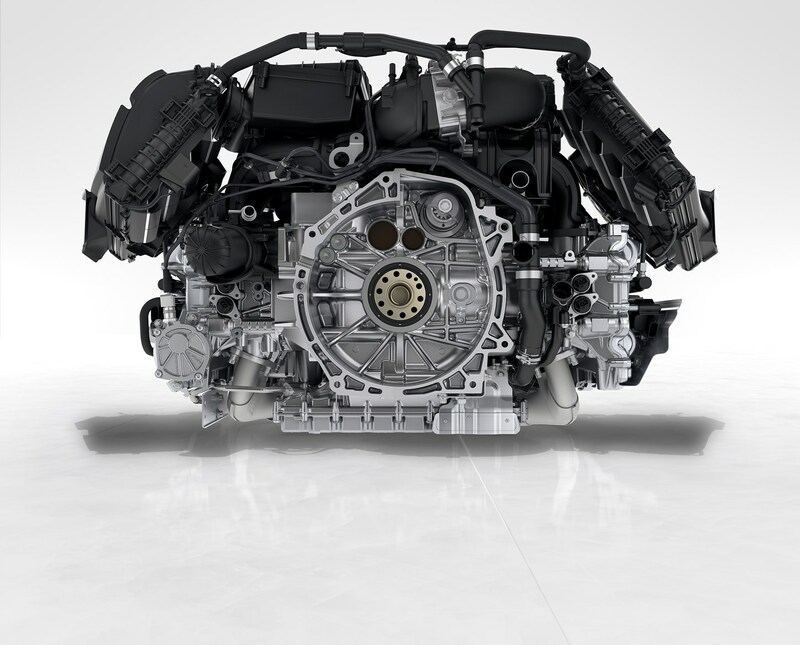 The 718 Boxster’s 2.0-litre turbocharged engine produces 300hp and 380Nm of torque and accelerates from 0-62mph in 4.9 seconds, while the S increases capacity to 2.5 litres for 350hp, 420Nm and a 4.4sec 0-62mph time. 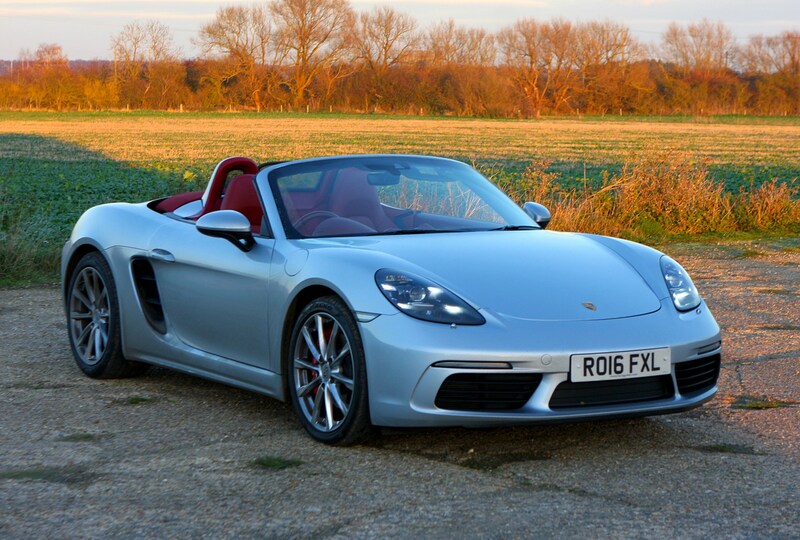 Helping shift the Boxster S down the road is Variable Turbine Geometry borrowed from the 911 Turbo, making turbo lag (a lack of power at low revs) a thing of the past. 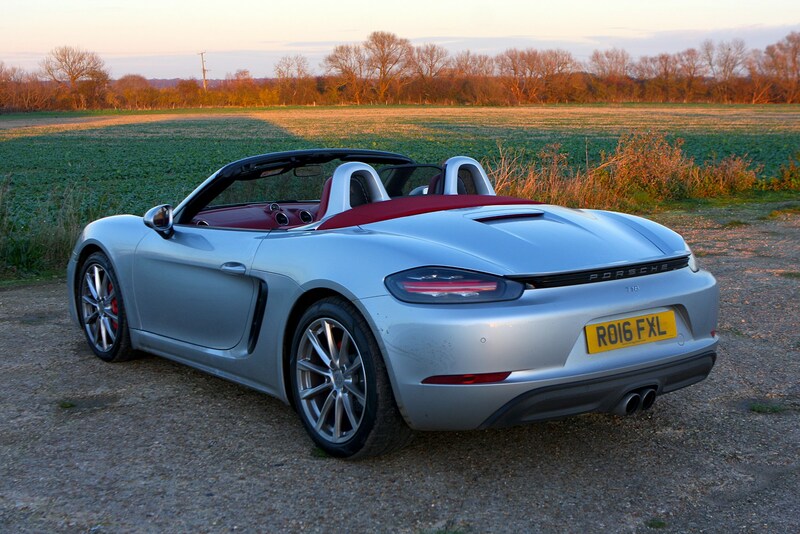 The entry-level 718 lacks this and is notably less responsive. 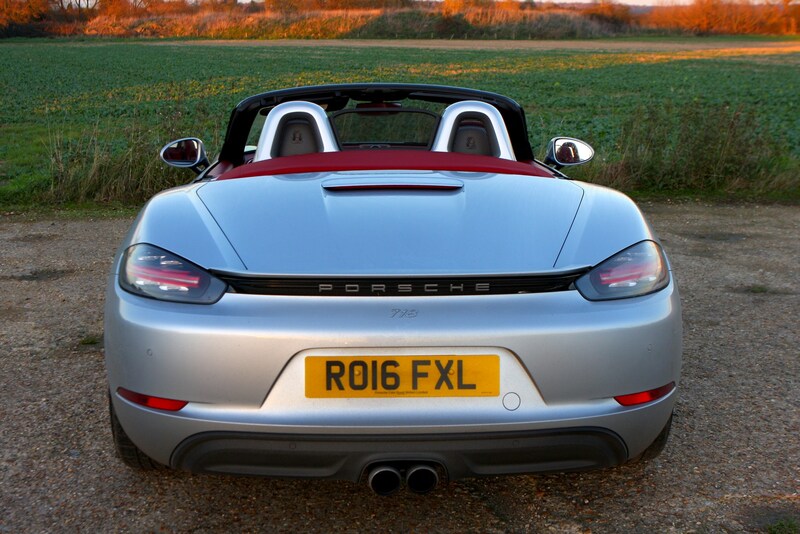 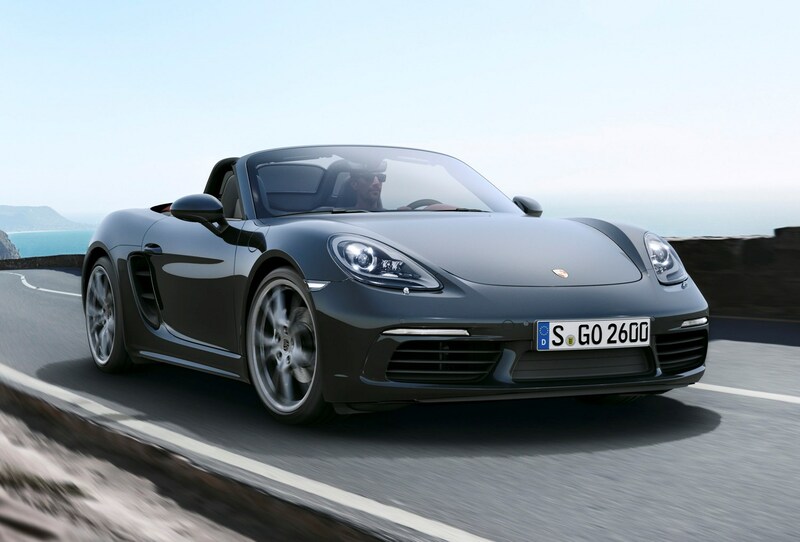 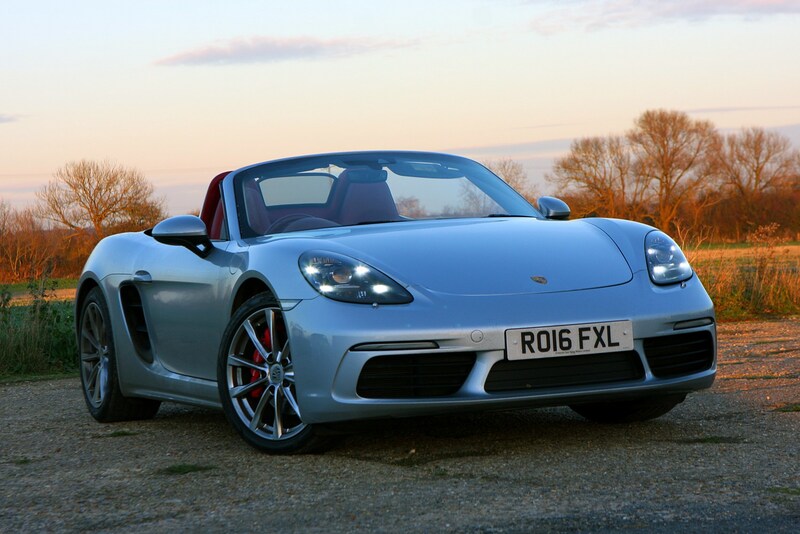 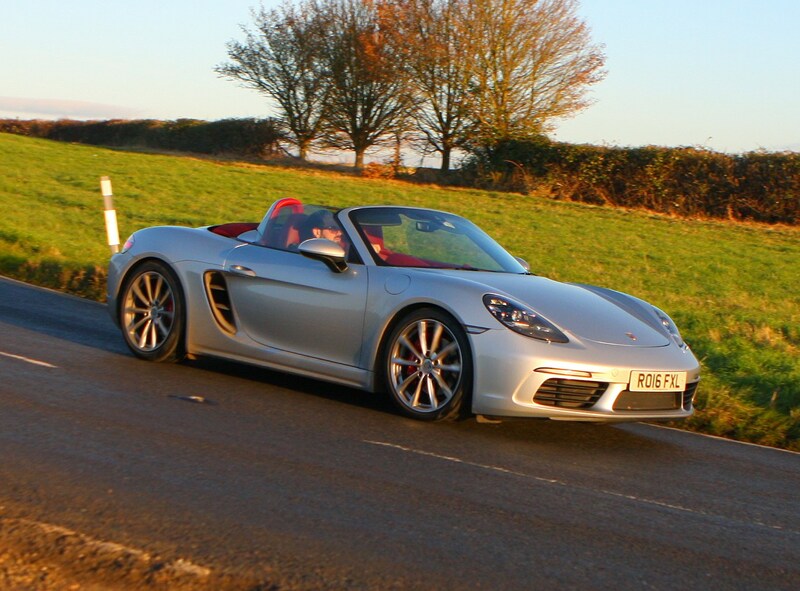 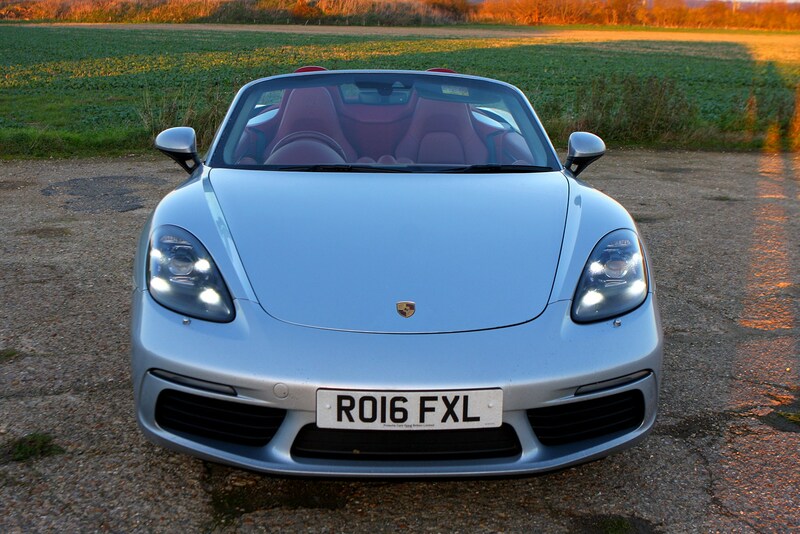 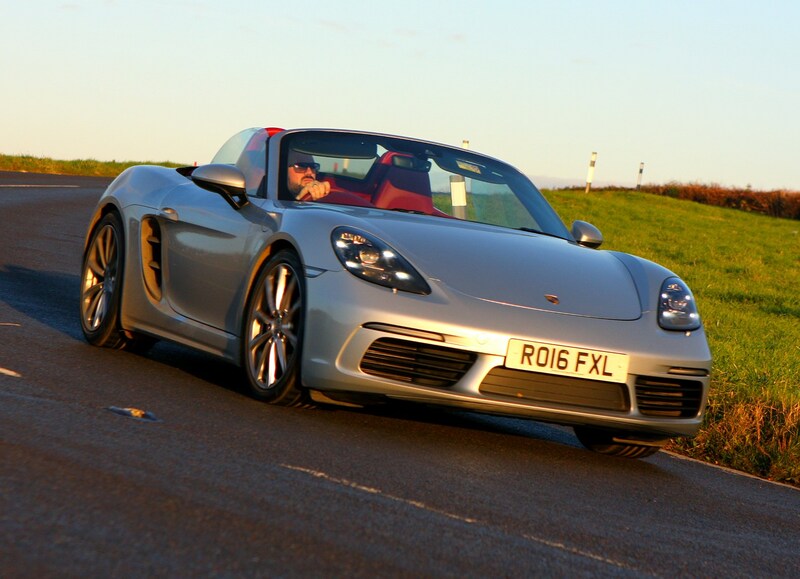 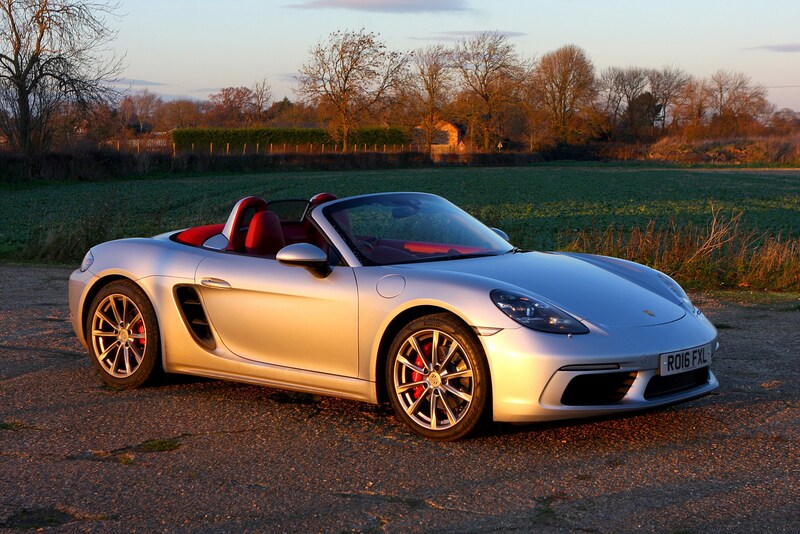 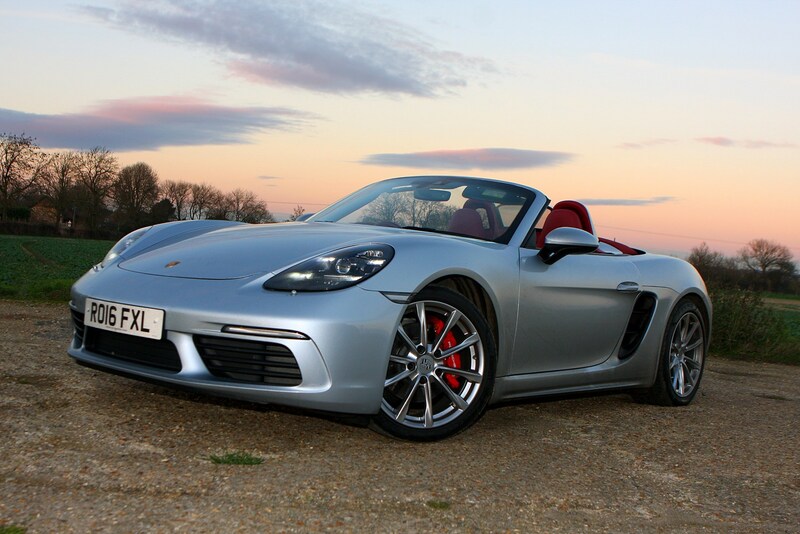 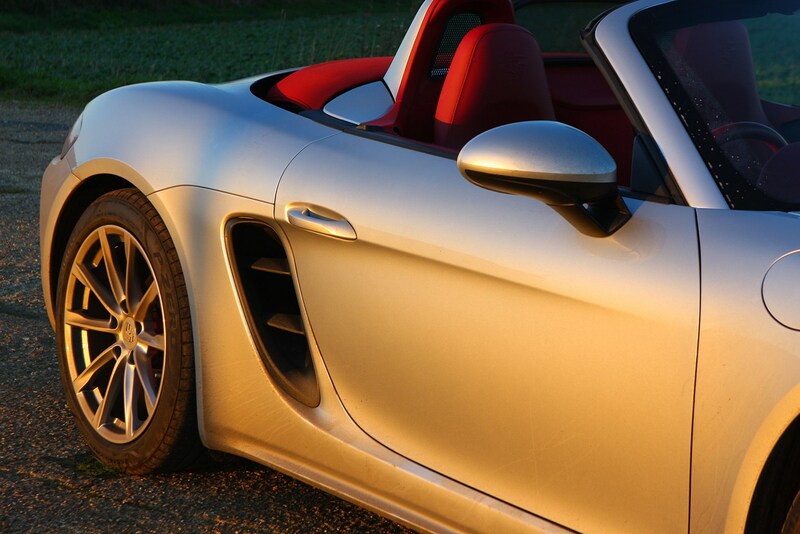 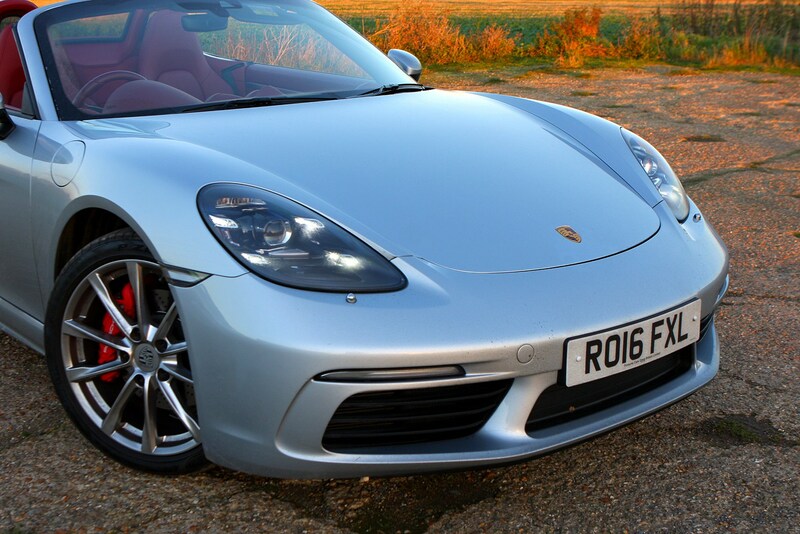 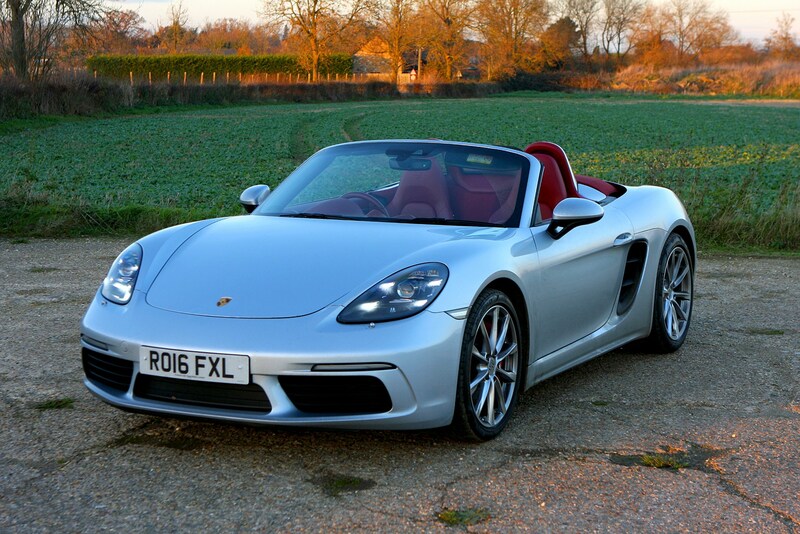 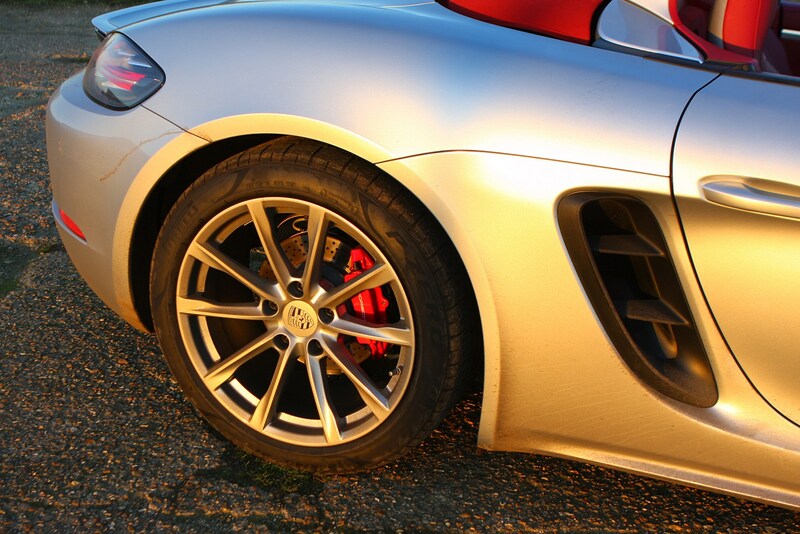 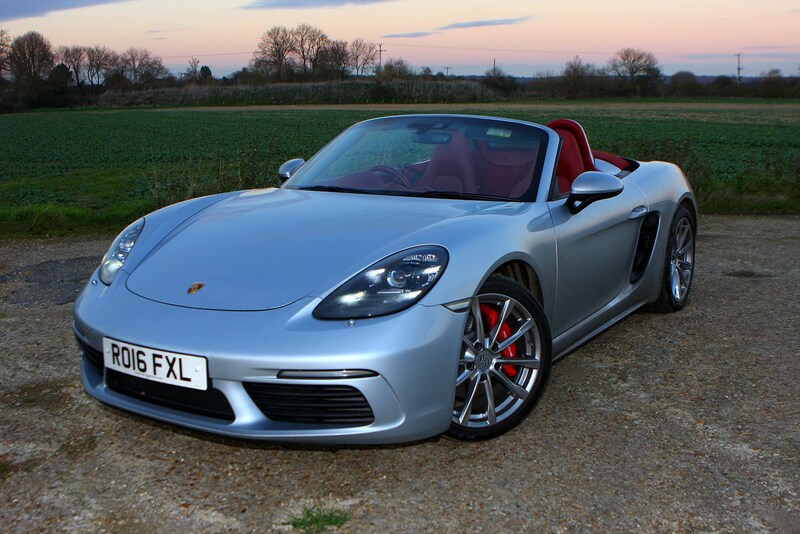 Top speed for the Boxster is 171mph, while the S is capable of reaching 177mph. 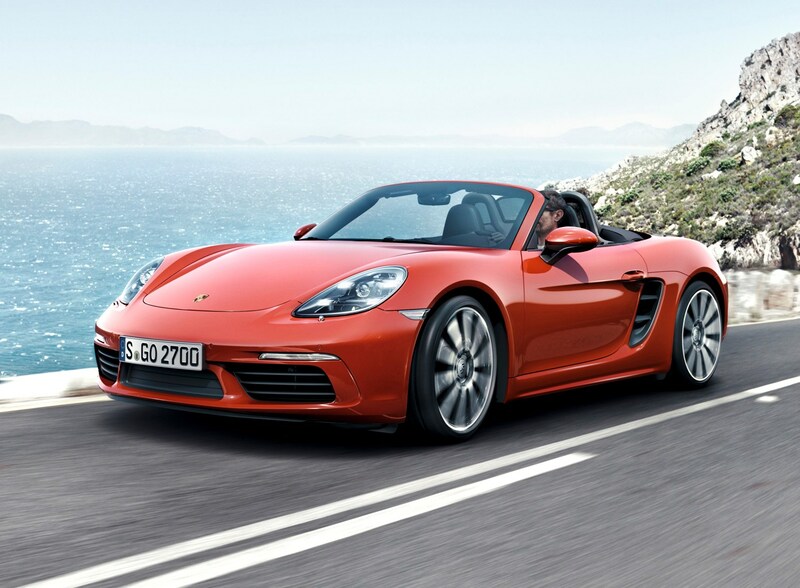 Both models rev keenly to a very sports car-like 7,500rpm, an unusually high figure for turbocharged engines. 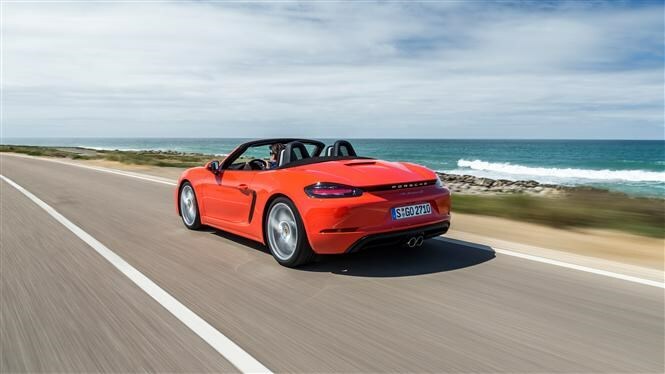 They also offer much more flexibility lower down in the rev range: you don’t feel the same urge to drop a gear on a motorway slip road, for instance, and the new car feels more urgent if you prod the accelerator at a low-speed cruise. 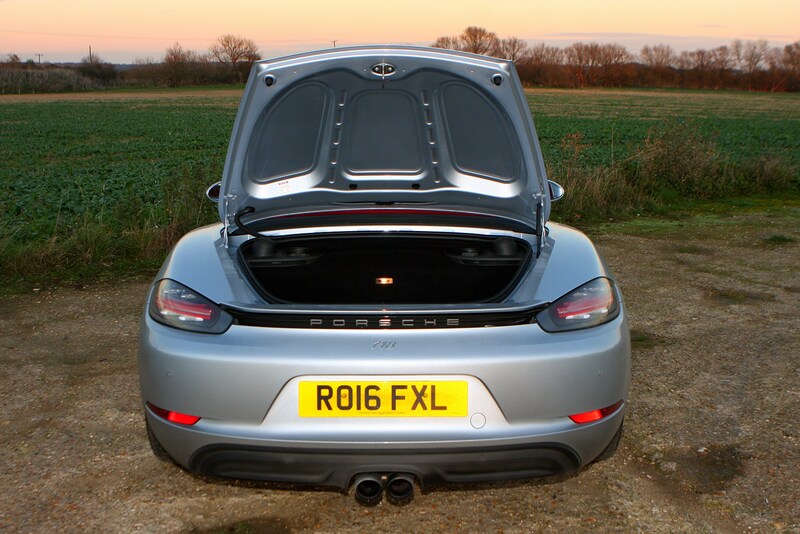 However, neither engine offers the old six-cylinder models’ charismatic yowl. 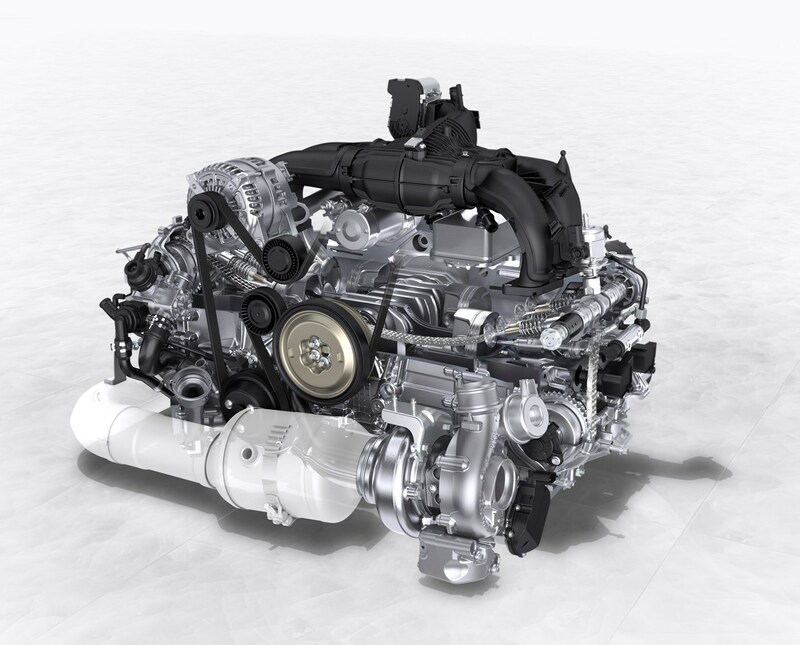 The burbly thrum sounds a lot like a Subaru Impreza, which uses a similar type of boxer engine, where the cylinders lie flat horizontally opposed. 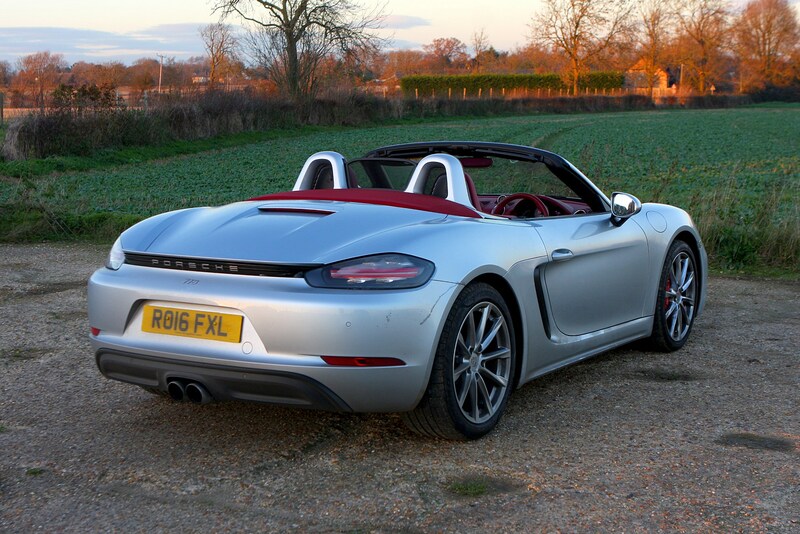 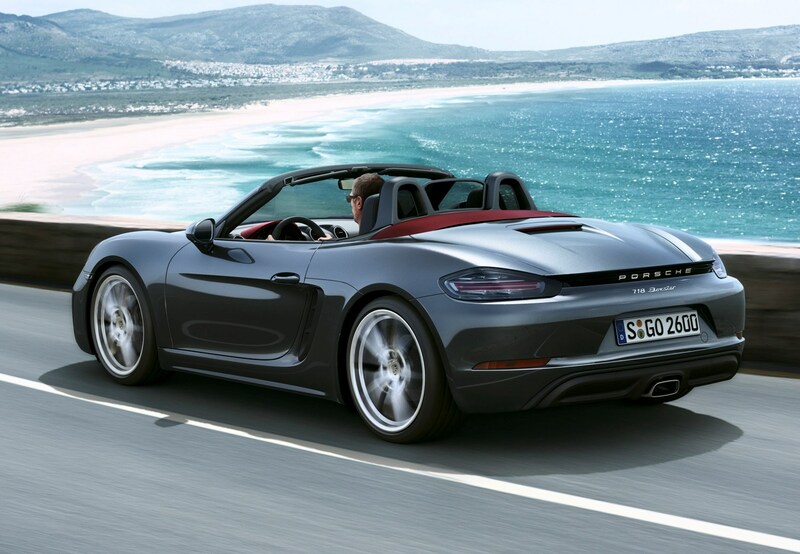 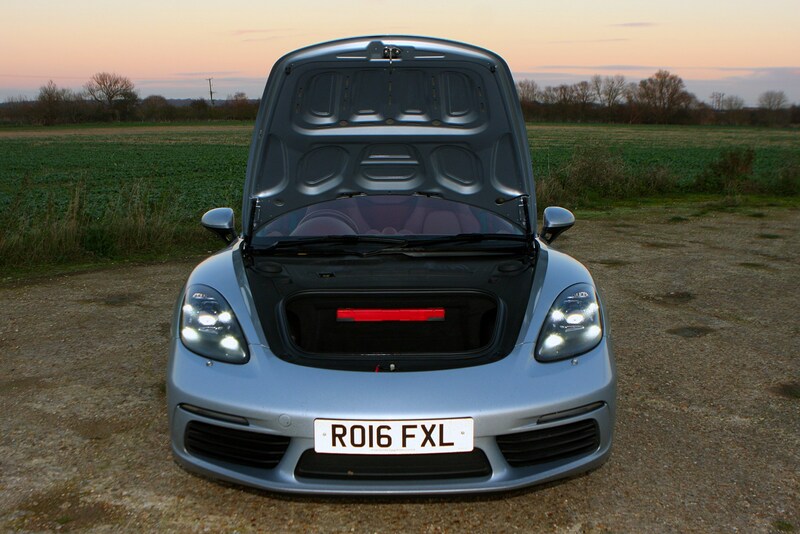 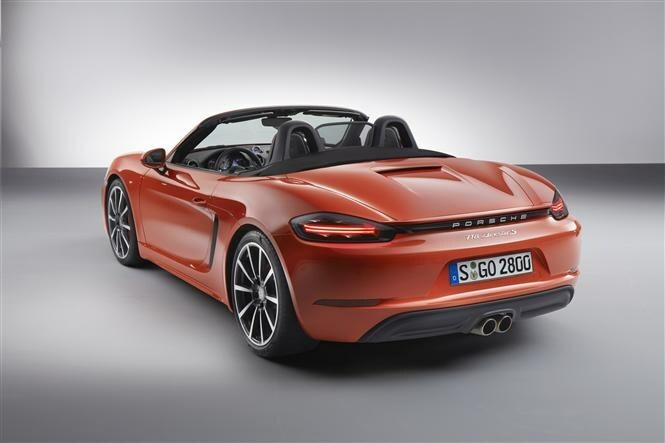 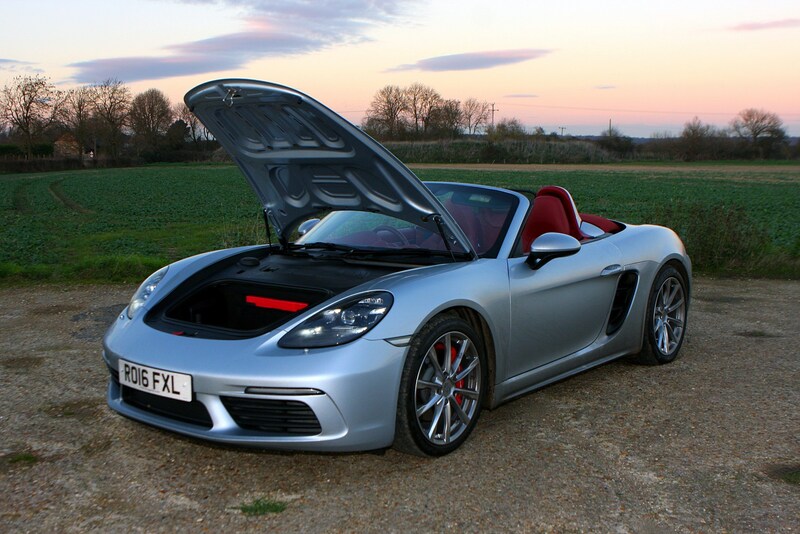 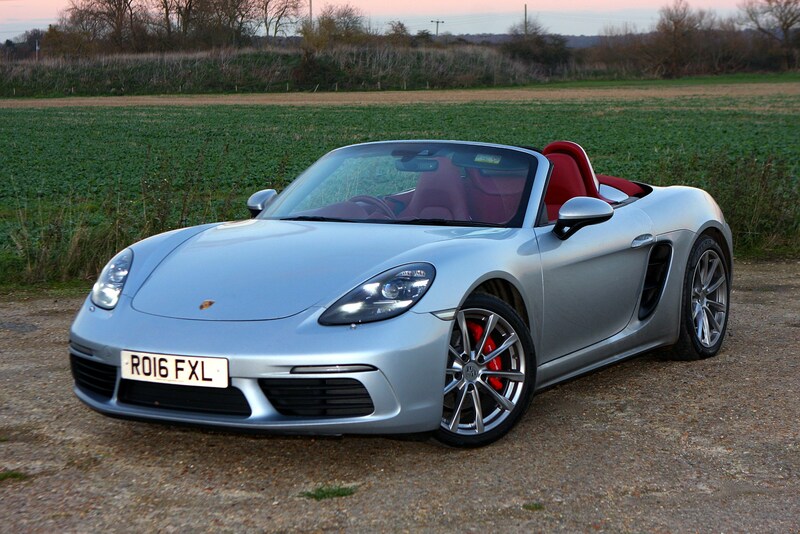 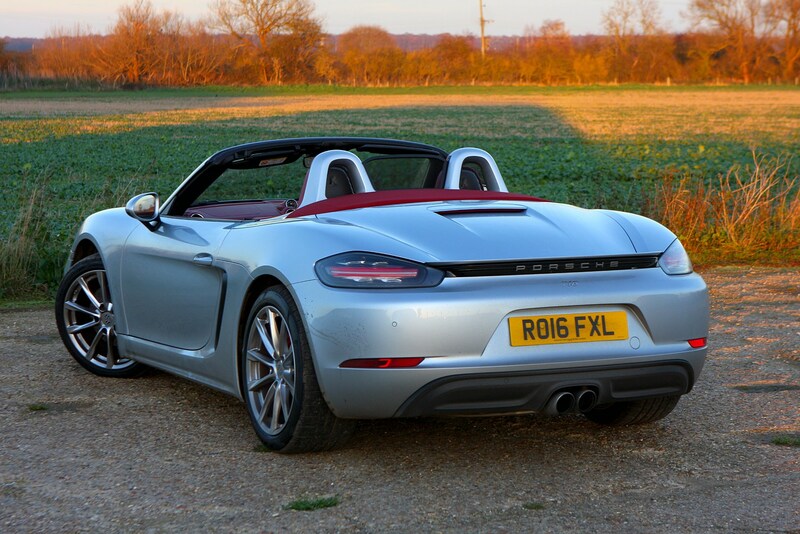 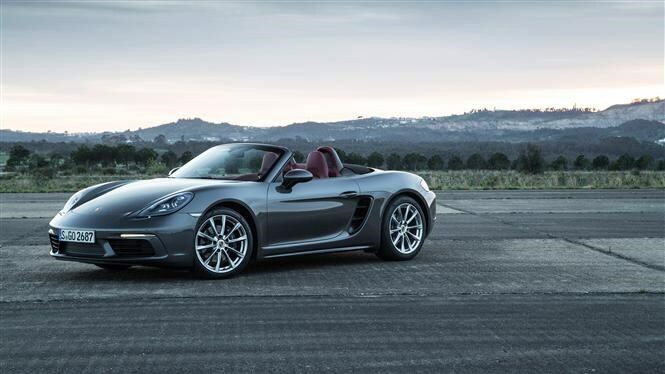 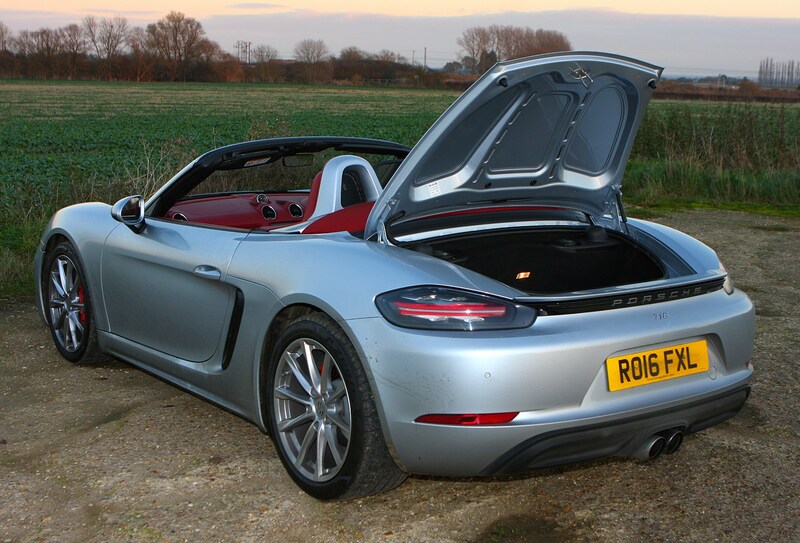 The Porsche 718 Boxtser T was revealed in December 2018 and had a 300hp version of the regular Boxster motor, but featuring chassis components from the S.
It is capable of 0-62mph in 5.1 seconds with the six-speed manual gearbox or 4.7 seconds with the optional twin-clutch PDK transmission. 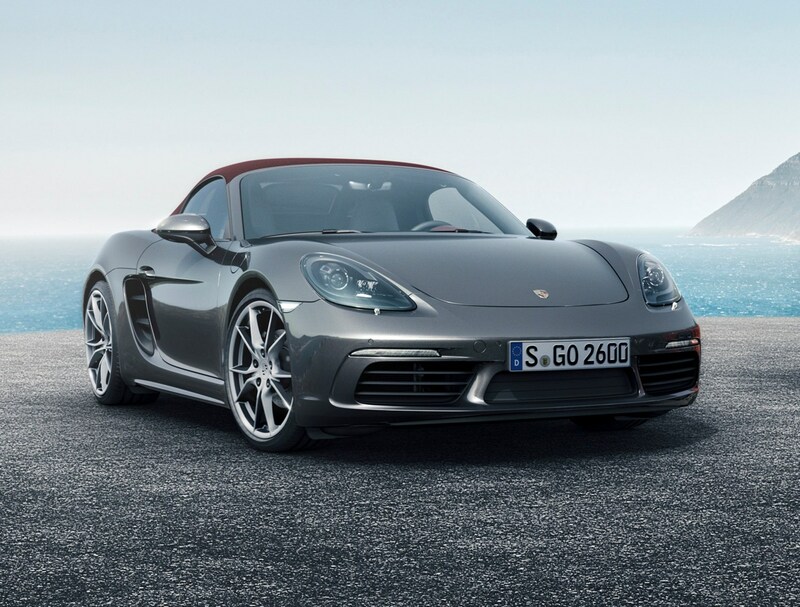 Both versions of the 718 can be equipped with a six-speed manual or optional PDK dual-clutch automatic transmission. 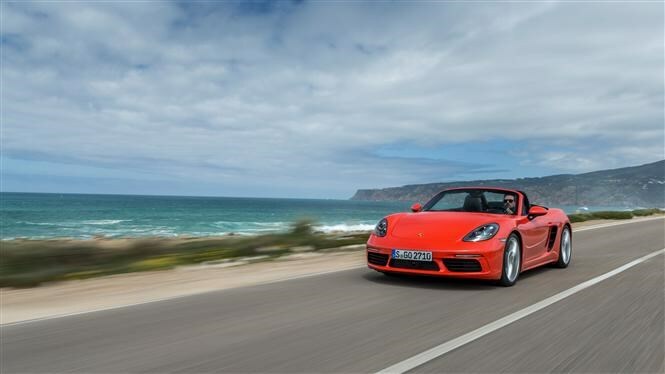 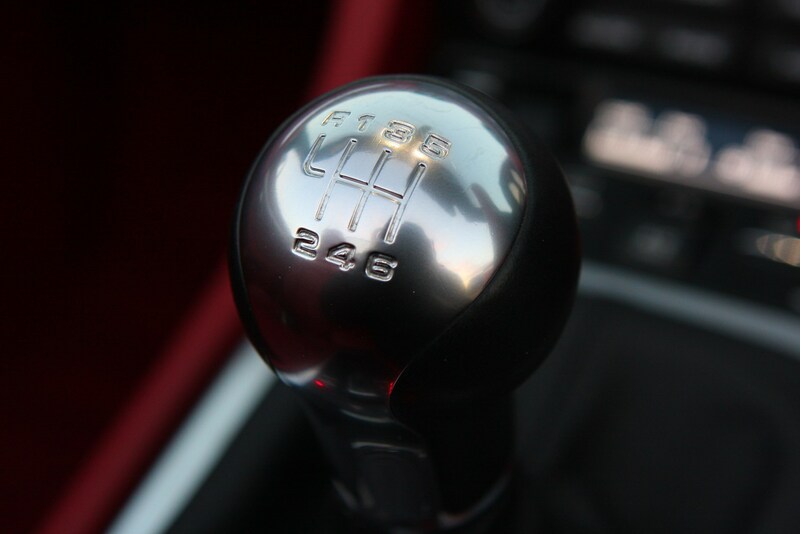 The manual gearbox is a tactile delight and offers enthusiastic drivers a bit more interaction with the 718 Boxster’s drivetrain. 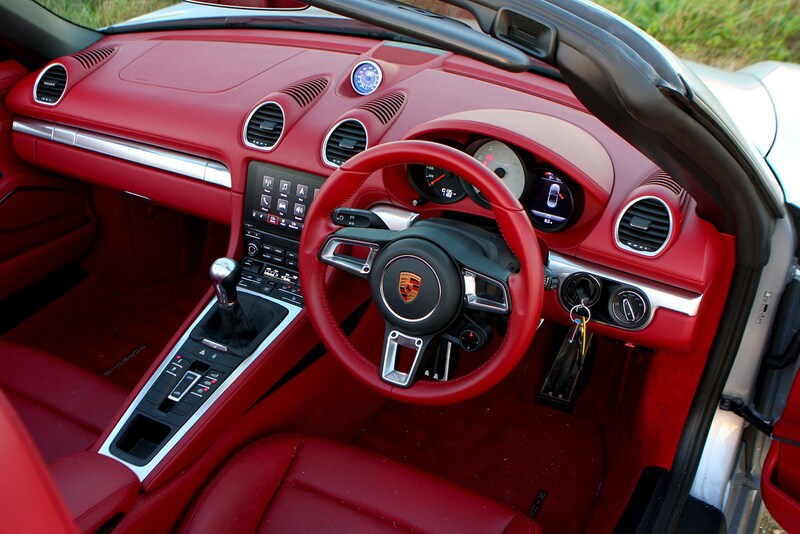 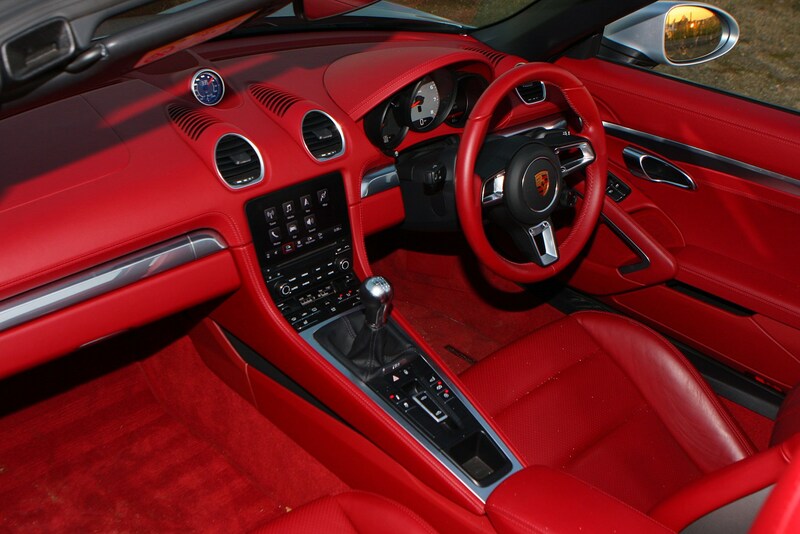 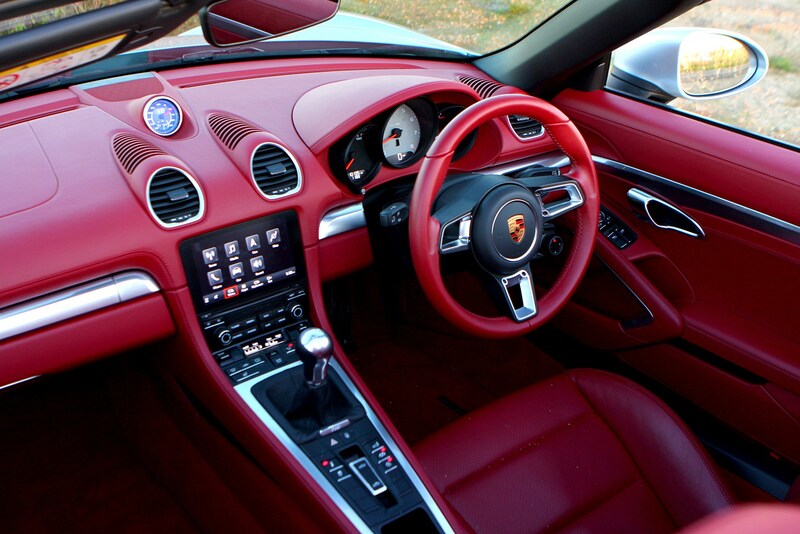 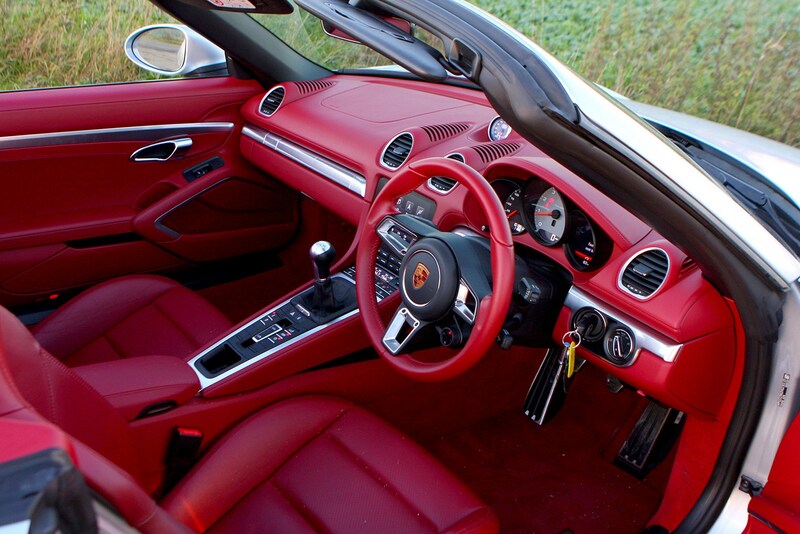 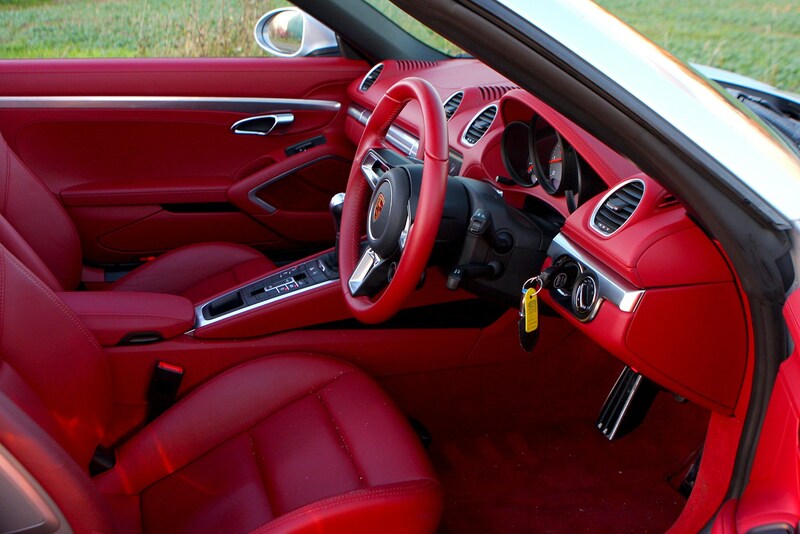 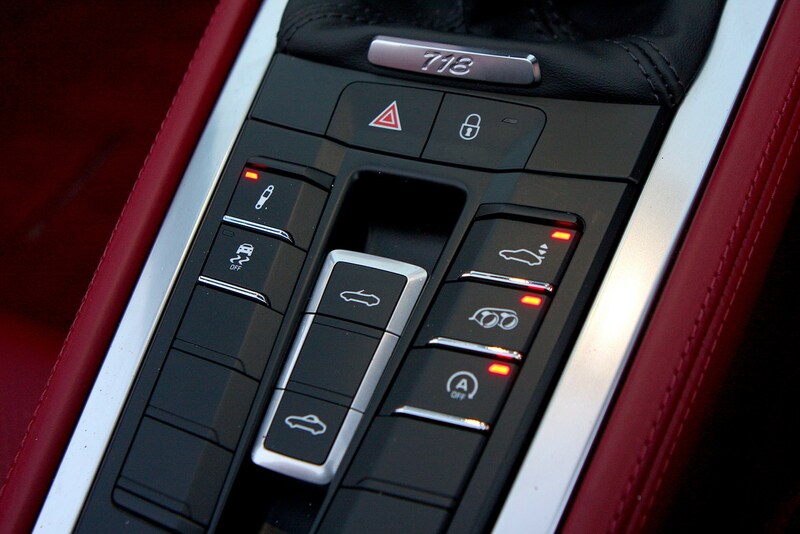 You can leave the PDK gearbox in automatic, or control it manually via paddle-shifters behind the steering wheel. 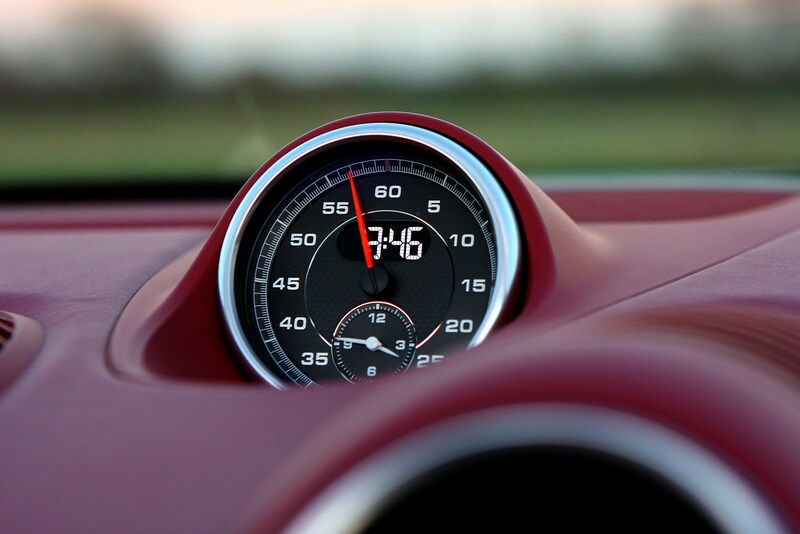 It’s smooth around town, but the changes are fast and direct at higher speed. 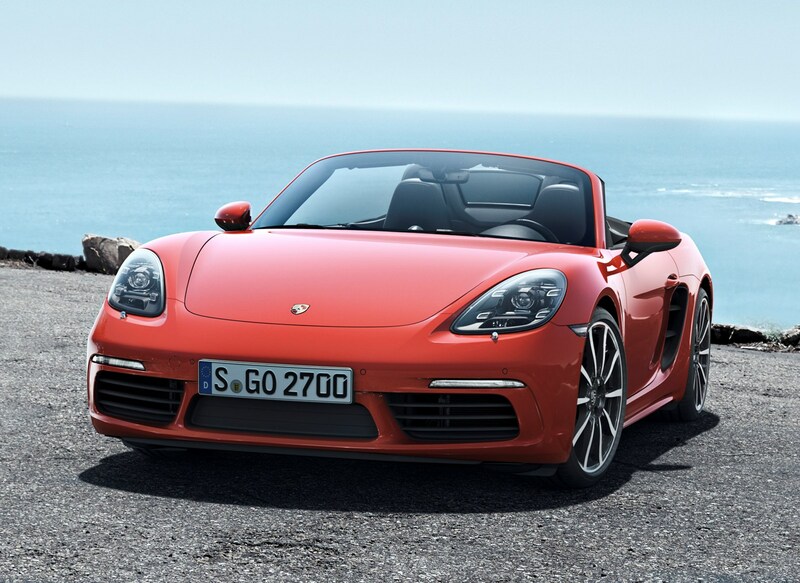 Despite its agility and power, the 718 Boxster is not intimidating to drive. 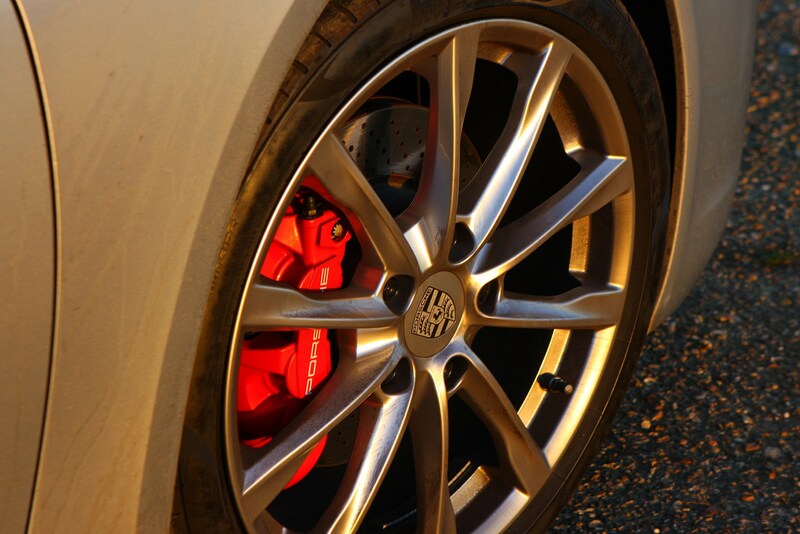 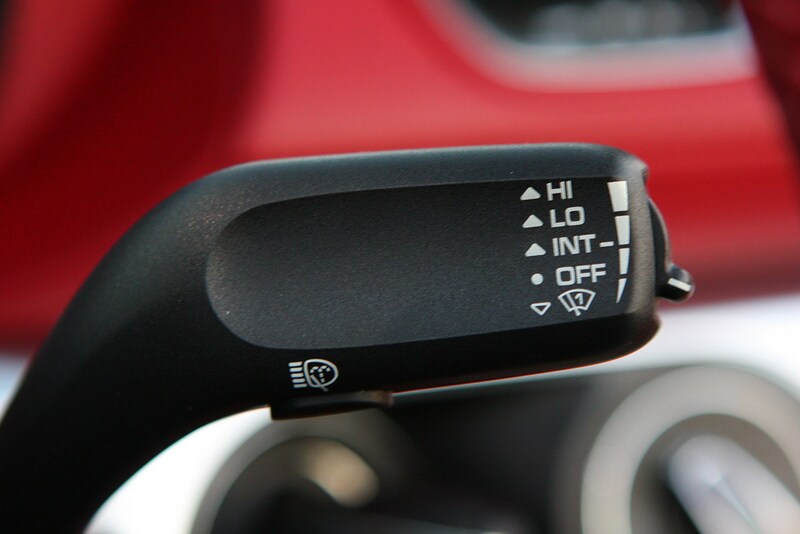 The stability control is rarely needed, but quickly corrects mistakes if you overstep the mark. 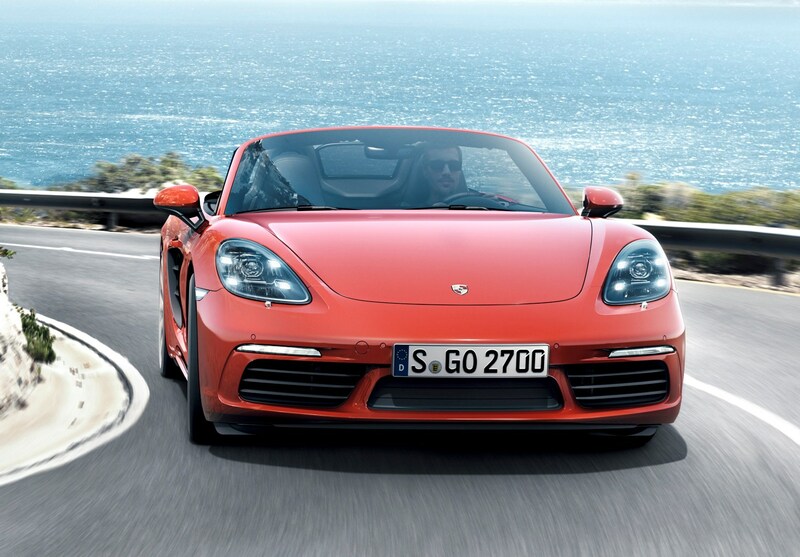 The 718 is really made for twists and turns. 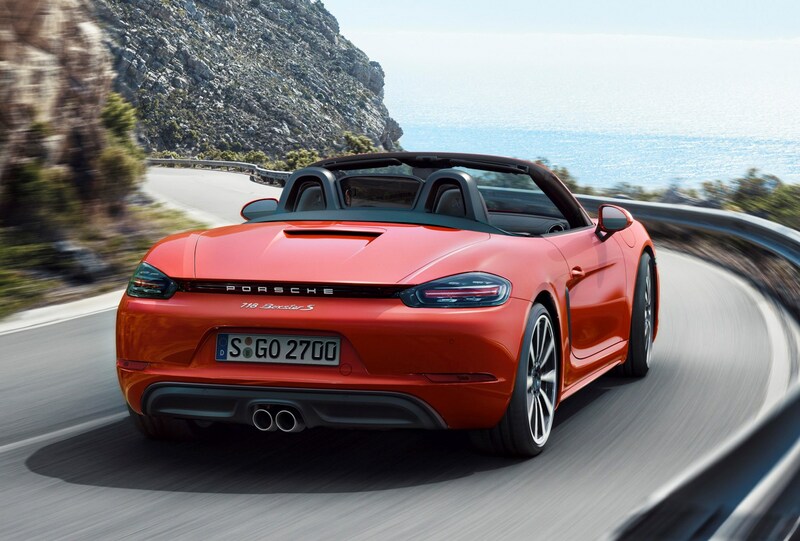 It’s exceptionally agile, sure-footed and a thrill to drive – a best-in-class performance. 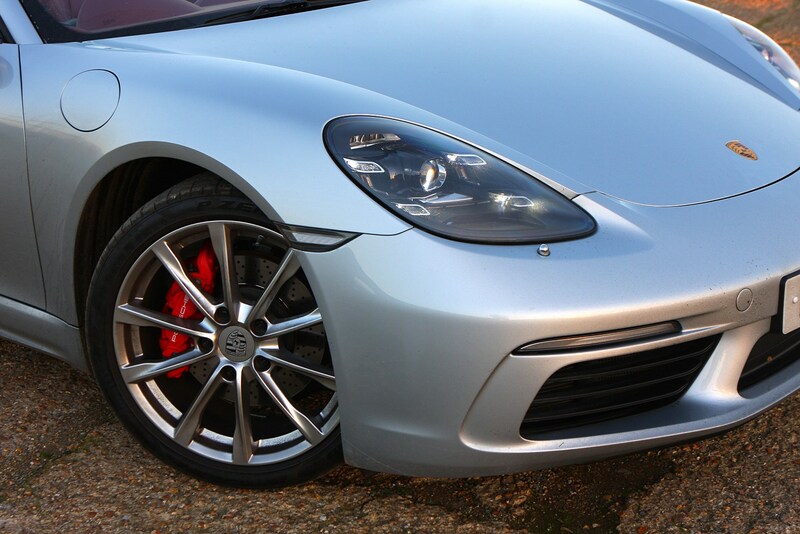 You can choose between standard suspension, or either -10mm or -20mm lowered springs with adjustable shock absorbers. 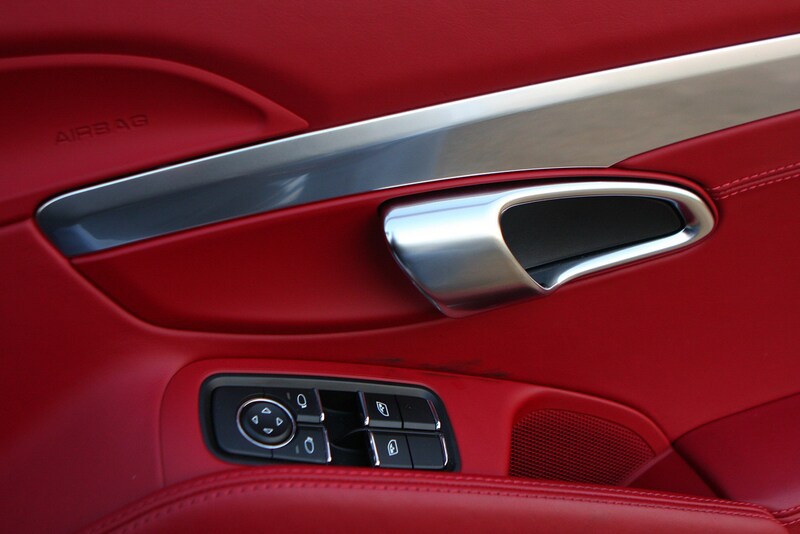 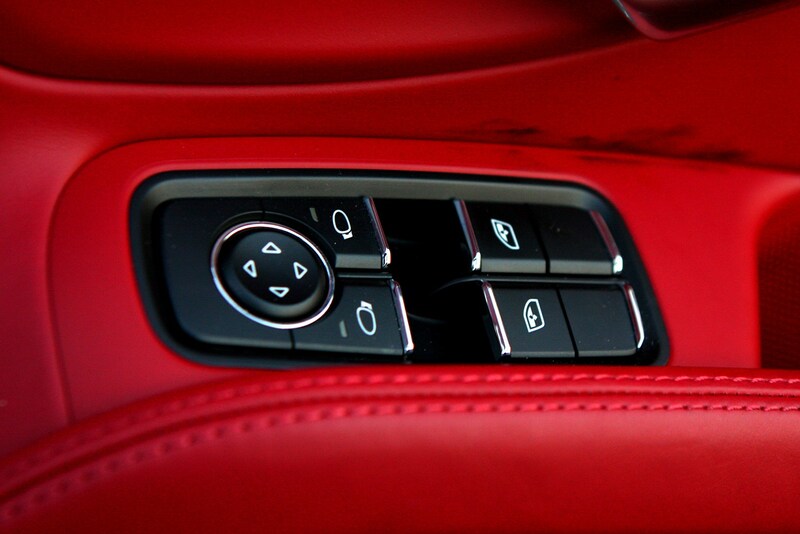 Press a button and the ride becomes firmer for spirited drives. 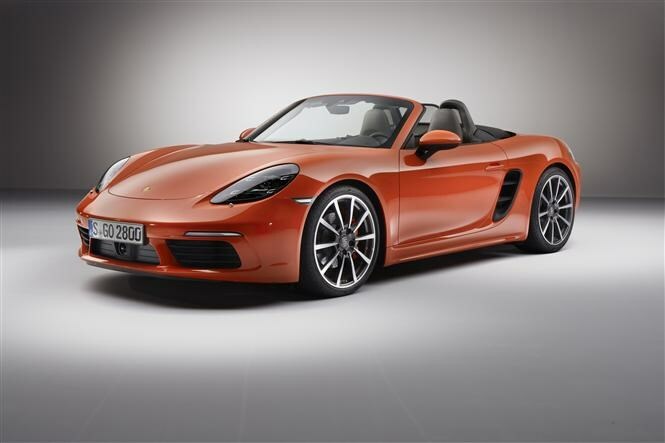 New for the 718 Boxster is a 10% faster steering ratio borrowed from the 911 Turbo. 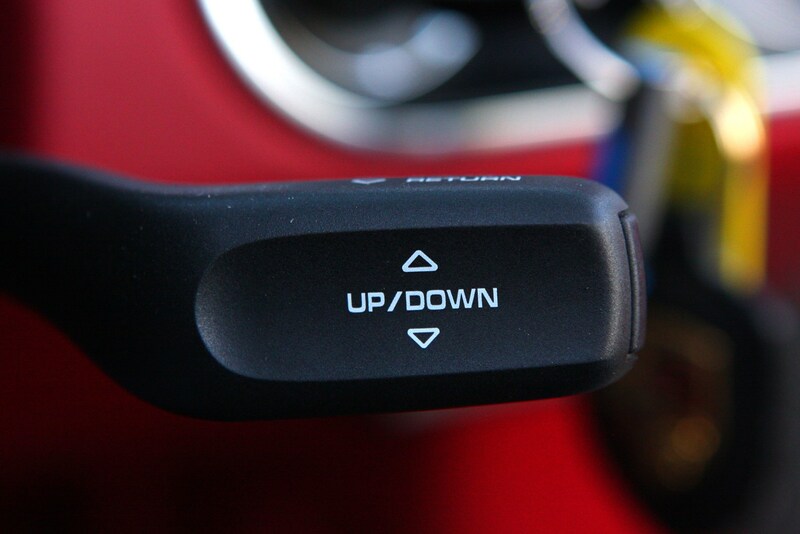 This means small turns of the steering wheel result in large changes to the steering angle. 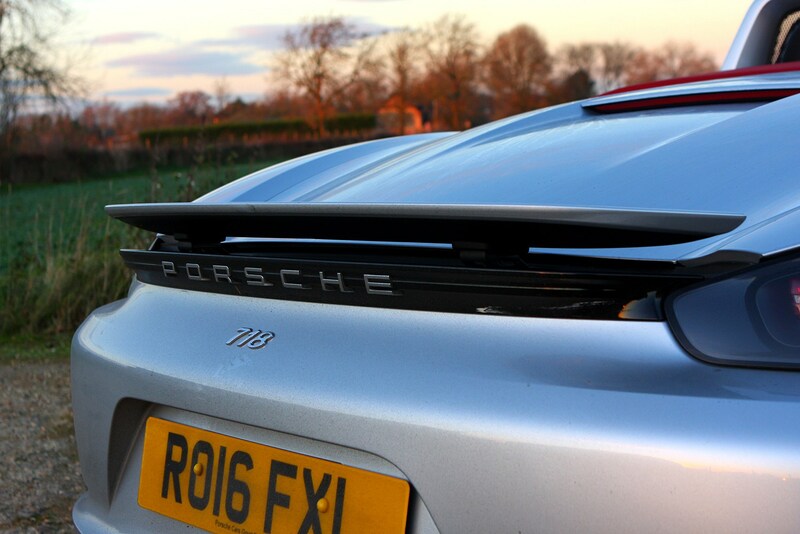 It’s fast, accurate and nicely weighted. 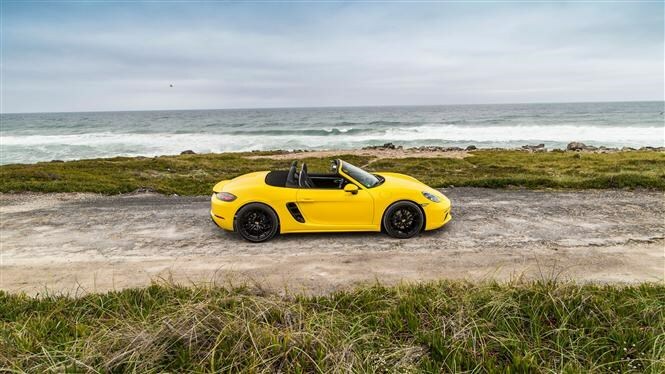 When you’re in town that same steering is relatively light, and combined with good forward visibility makes the Boxster an easy car to drive around urban areas. 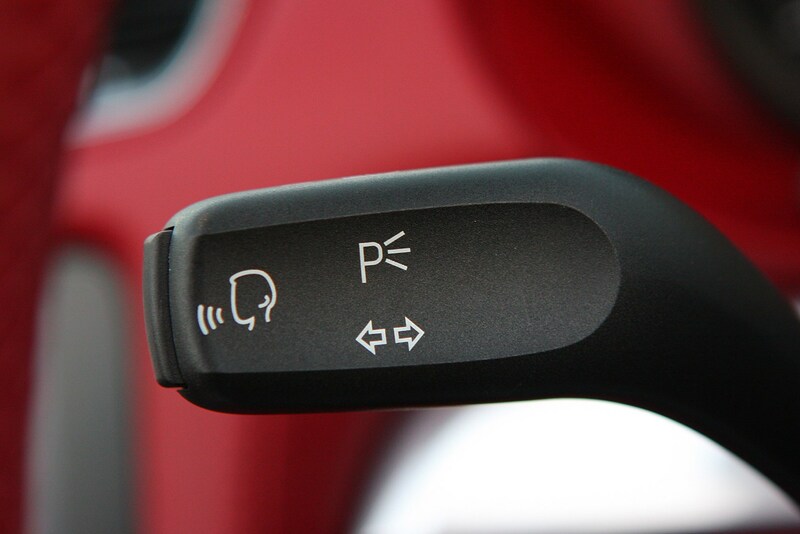 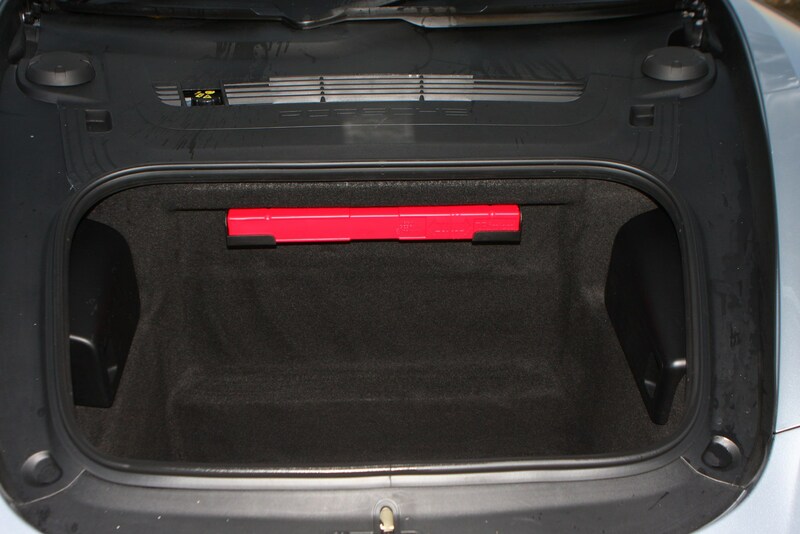 The optional reversing camera isn’t essential, but a big help for parking as you sit low in the car and can’t see out of the back as easily as you might expect. 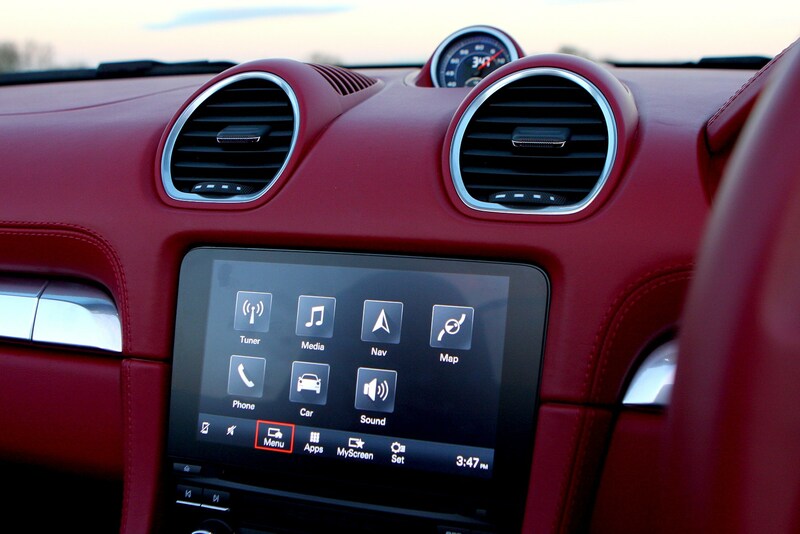 The dashboard of the 718 Boxster is less of a button-fest compared with the previous Boxster – an easier-to-use touchscreen media system now features, and falls within easy reach. 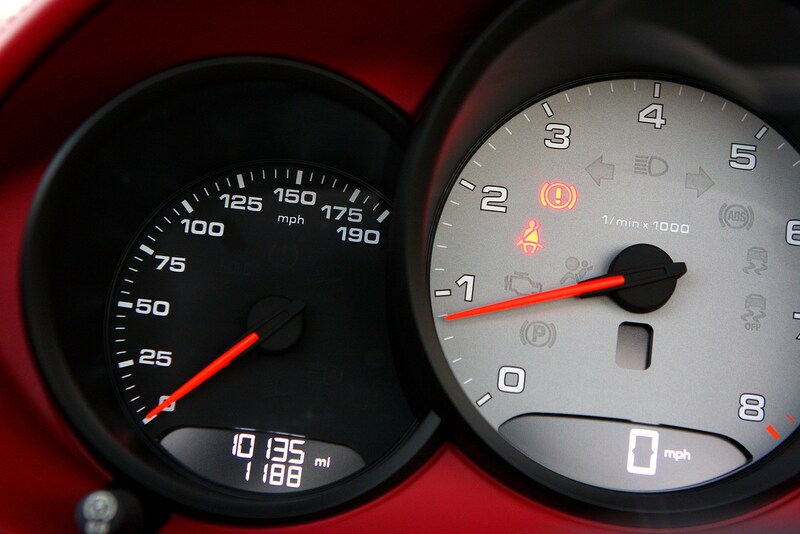 That said, Audi’s MMI system in the TT Roadster is easier to operate, and some of the icons on the screen and associated buttons elsewhere in the Boxster’s cabin are quite small. 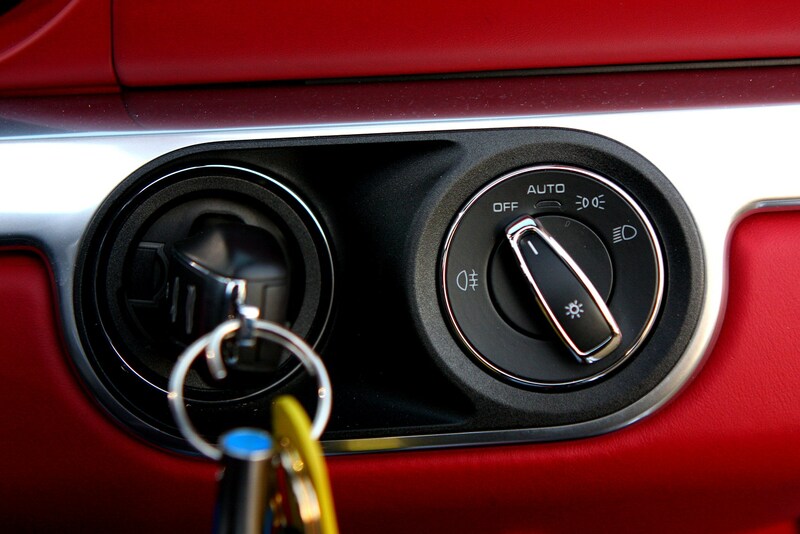 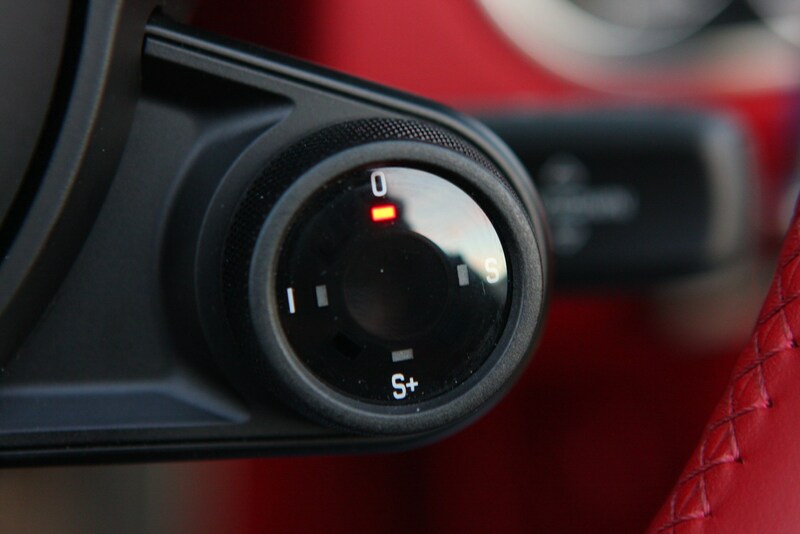 For example, you have to reach around the gearlever to operate the climate control, and even then the buttons are very small. 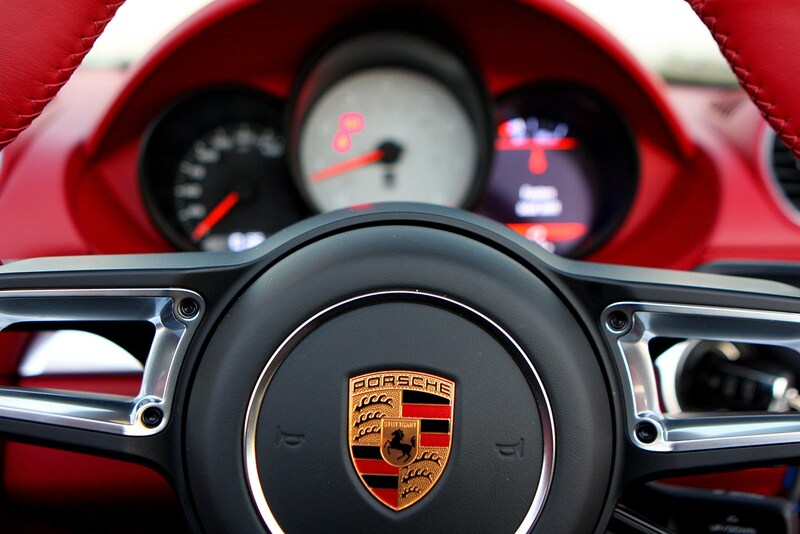 Time spent behind the wheel will make this easier, though. 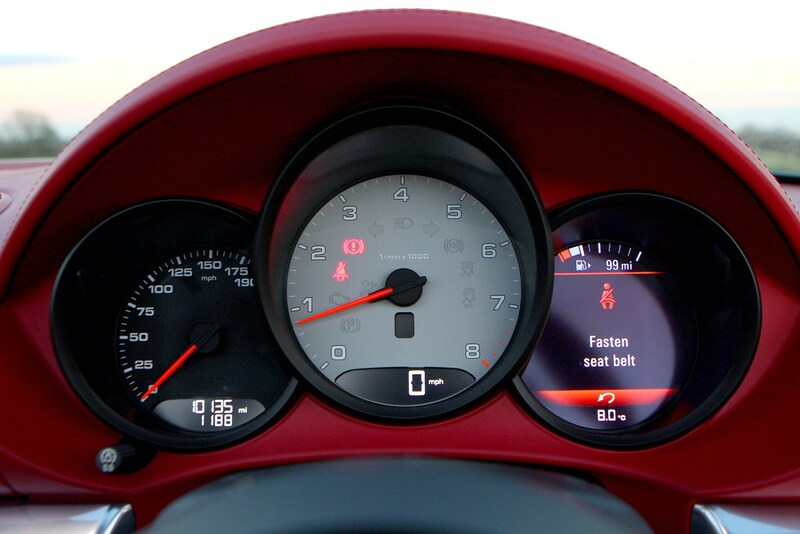 You can display the sat-nav in a dial next to the rev counter, too, making it easier to follow directions at a glance. 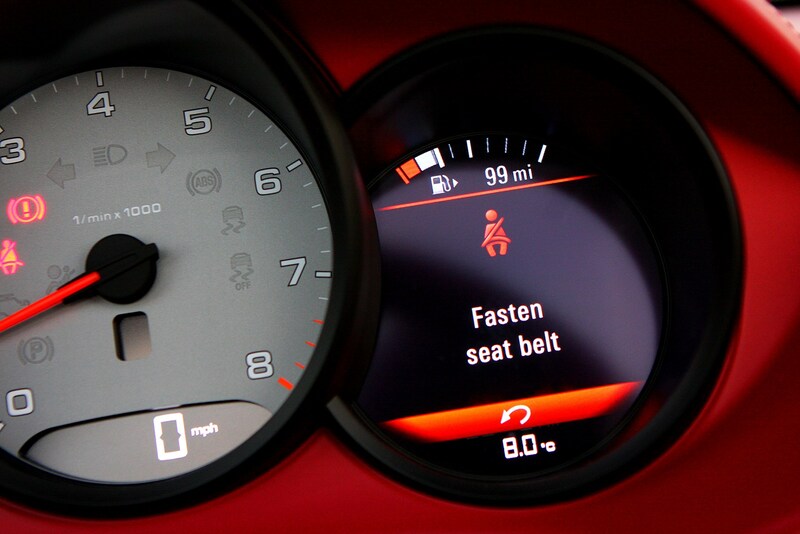 This screen can also show several different pieces of information, such as the trip computer or lap times. 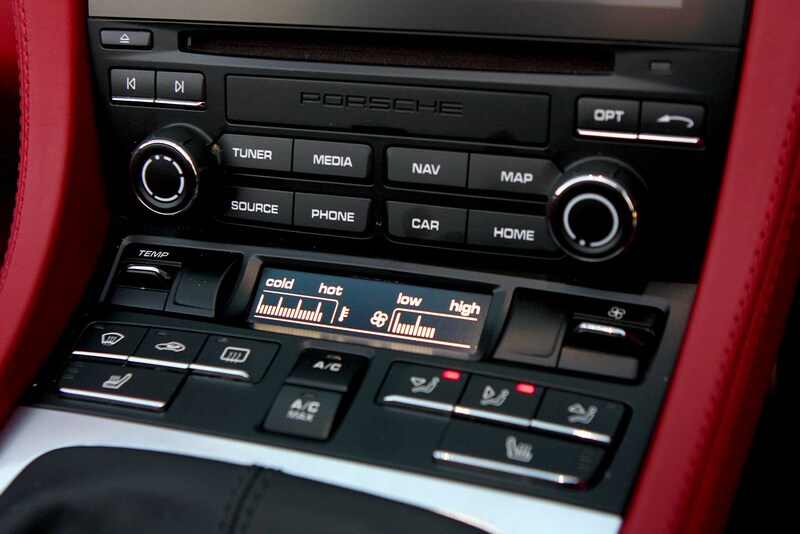 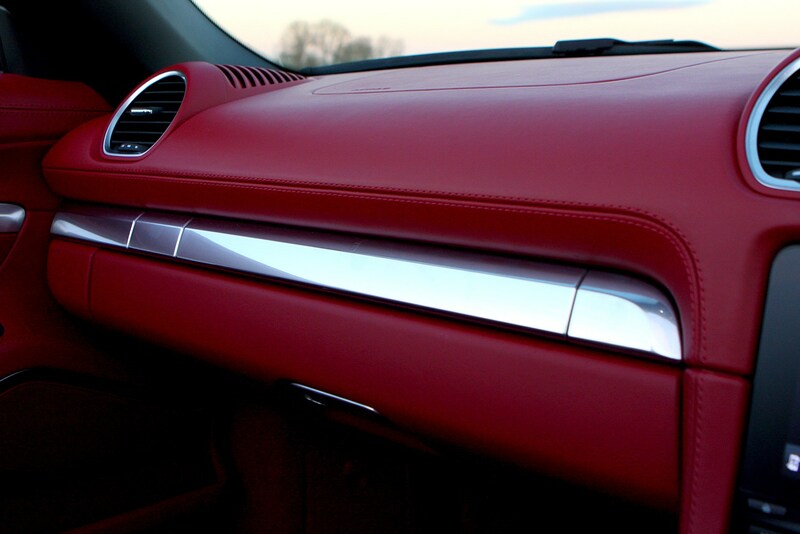 Fit and finish in the Boxster’s cabin are superb, with materials and design that would look equally at home in a pricier 911, but it isn’t quite as modern as something like the Panamera with its huge screen and touch-sensitive buttons elsewhere. 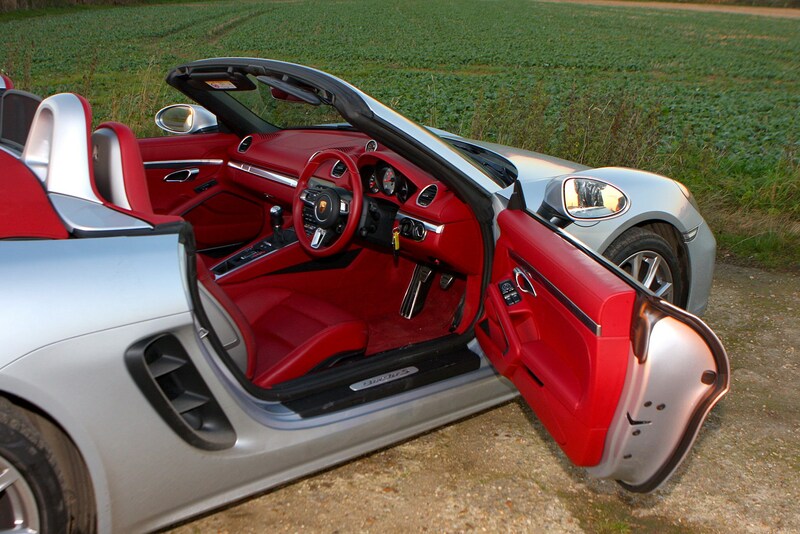 It’s easy to get comfortable though, with plenty of adjustment in the seats and steering wheel. 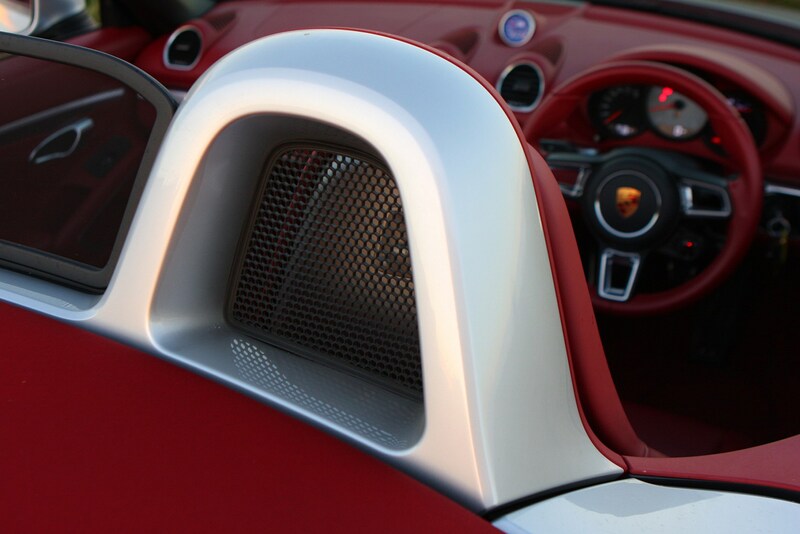 The 718 Boxster T comes without a stereo head unit as standard to save weight, but re-adding a hi-fi is a no-cost option we expect most buyers will take. 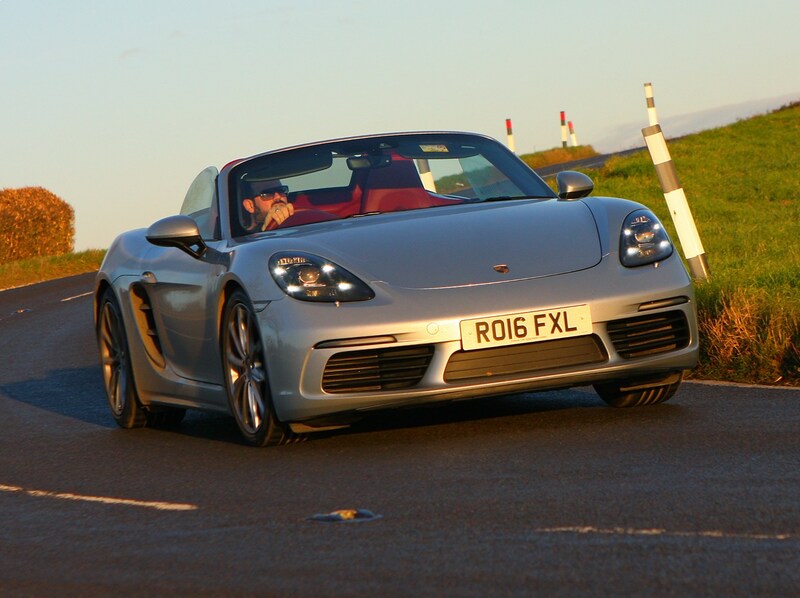 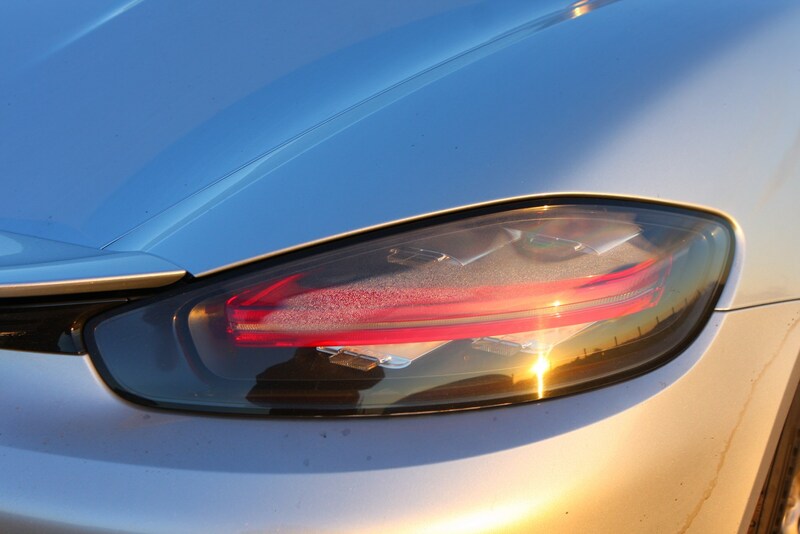 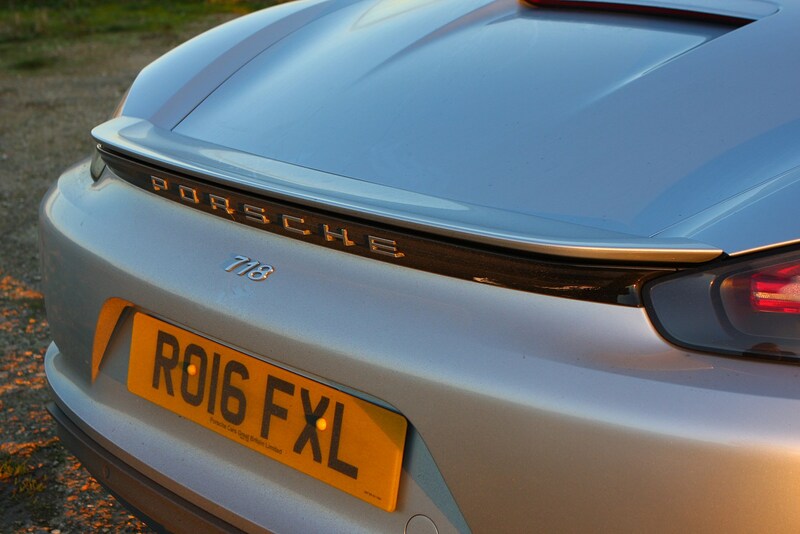 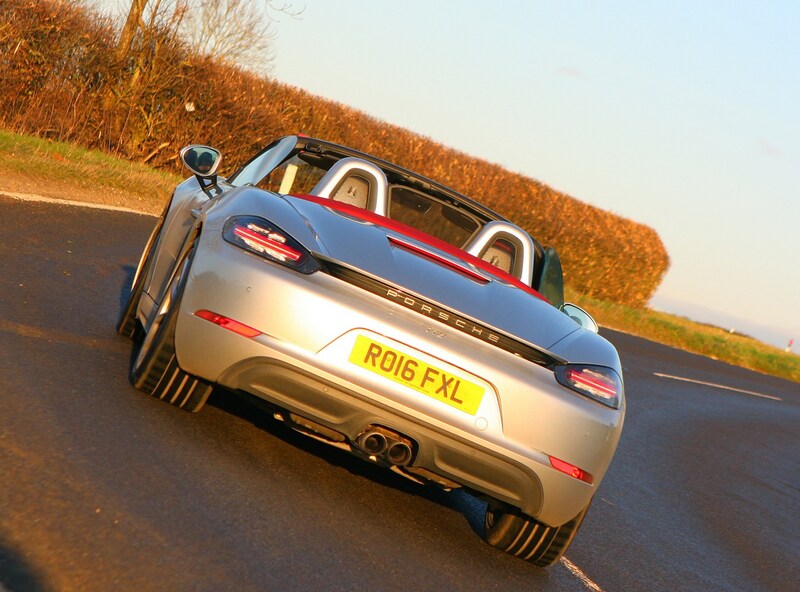 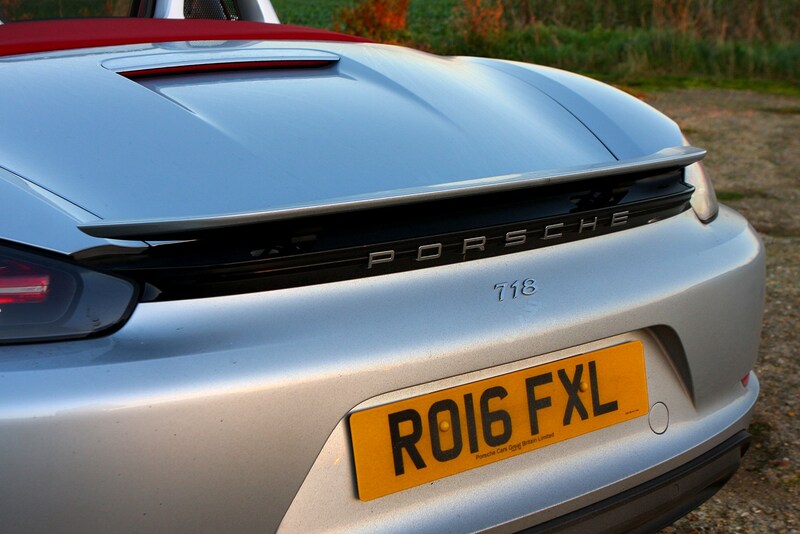 Ride quality in the 718 Boxster is relatively firm, but comfort remains more than acceptable on both the optional suspension set-ups we tried, even with the largest 20-inch alloys, which makes it much more pleasant to drive around town or on the motorway. 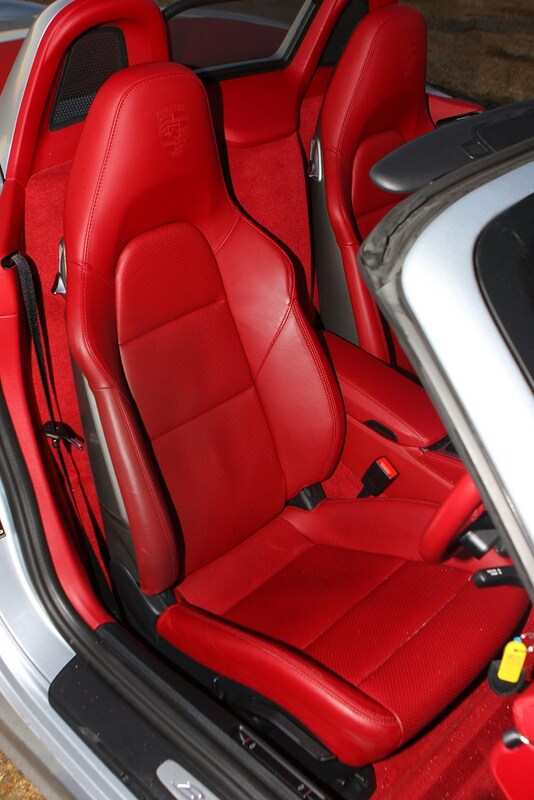 Finding the perfect low-slung driving position is easy, and the leather sports seats combine comfort with good lateral support. 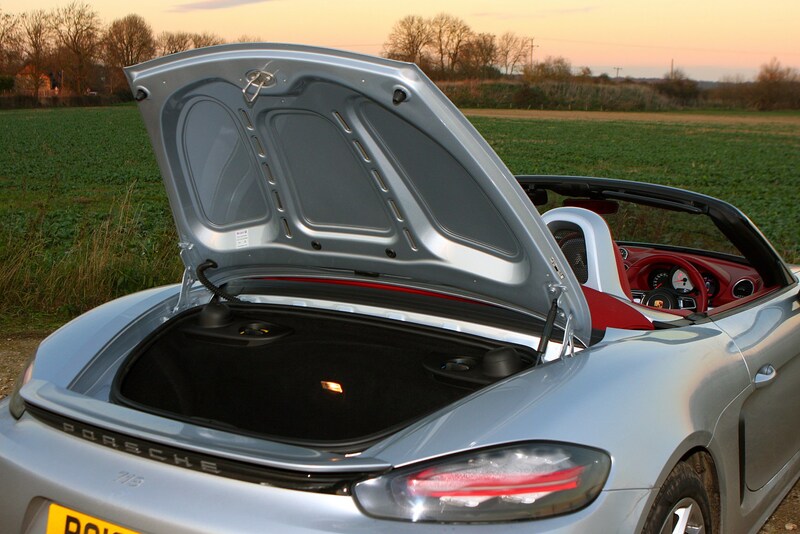 The electrically operated fabric roof opens or closes in under 10 seconds and at speeds approaching 40mph, while rivals with folding hardtops such as the Mercedes-Benz SLC must be stationary. 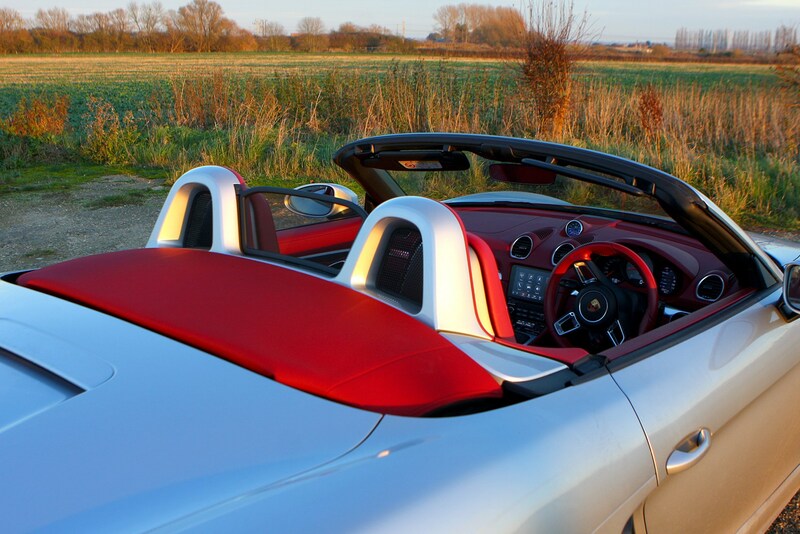 With the roof-up, exterior noise is well suppressed – even with the roof down, you are well protected from wind buffeting.